Truck Accident Personal Injury & Wrongful Death Lawyers in Manhattan Beach, California! Seek Qualified and Experienced Legal Experts To Deal With Your Personal Injury Or Wrongful Death Claim in California? 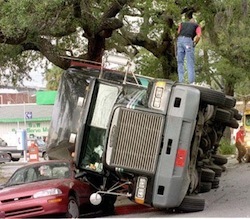 Manhattan Beach truck accidents can cause serious injuries, property damage and even death requiring a wrongful death suit. Our Manhattan Beach personal injury lawyers are equipped with 40 years of experience in handling legal claims for injuries and damages, and have thousands and thousands of successful results. Please see our Verdicts & Settlements page for examples of just some of our many thousands of successful settlements and trial verdicts. In our span of practice years, our personal injury & wrongful death truck accident lawyers have accomplished a notable 95% success rate in successfully resolving truck accident and other personal injury cases. We employ an aggressive approach in the pursuit of our legal cases and do not hold back until we obtain the best possible settlement or resolution for our injured clients. We also strike-up a bond of compassion with our clients, especially those who suffer bereavement following the loss of their loved ones to fatal truck, car and motorcycke accidents. Click here to contact us if you or someone you know is in need of expert legal consultation for a truck accident personal injury case or wrongful death claim. In order to acquire more information related to our accomplishments, please review our lawyer profiles and our testimonial pages. Further, visit our Truck Injury Accident Web Site to get a better understanding of what to do if you or a loved one is involved in a truck accident to better understand the truck accident injury claims process; and for advice about your own truck accident claim simply call us at 818-222-3400 or 1.866 INJURY 2 (after hours, press “1”) or click here to contact us 24/7. A small coastal city located in southwestern Los Angeles County, California, a population of 35,135.inhabits the affluent city of Manhattan Beach, according to 2010 United States Census. 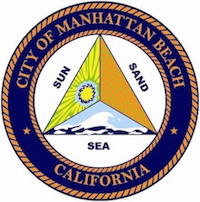 City of Manhattan Beach Seal- Sun, Sand & Sea. 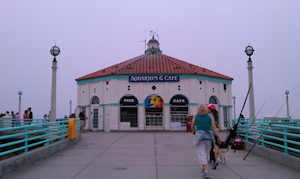 Manhattan Beach borders the Pacific Ocean with some of the most beautiful beaches in Los Angeles, California; and it stretches across a total area of 4.9 square miles. Further, Manhattan Beach is widely renowned for ideal weather and world-class beaches, which lure over 3.8 million visitors annually. The Manhattan Beach city has been nicknamed as ‘Pearl of the South Bay" for its awe-inspiring and engrossing picture-perfect scenic beauty. 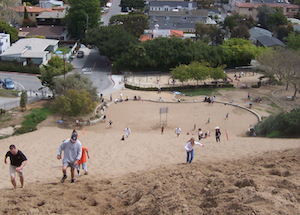 Manhattan Beach houses an extensive array of public parks. 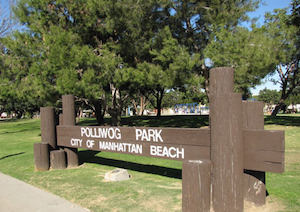 Polliwog Park is the most popular and largest among these parks and is located on Manhattan Beach Boulevard. The park is equipped with an open-air concert amphitheater, a small lake, playground equipment, and a fenced dog exercise area. Actor Scott Whyte was born in the city. In addition, actor Ben Sharples was brought-up in Manhattan Beach and attended Crossroads School in Santa Monica, CA. Determining the underlying cause of a truck accident is central to the pursuit of a legal case for injuries and to procure adequate damages in the light of the magnitude of injury or financial loss resulting from injury and/or death. The force generated from a truck collision can wreak havoc on smaller vehicles on the road and may leave a person behind the wheel in a car or a motorcycle or bicycle dysfunctional in every conceivable capacity. Reach out to our team of experienced and trusted personal injury attorneys who apply themselves to helping our clients with medical care, property damage resolution and financial settlements. Our objective is to leave no stone unturned to ensure that our clients obtain maximum compensation for the losses incurred. Our personal injury & wrongful death lawyers are aggressive but also compassionate and caring lawyers who are equipped with special expertise in their areas of legal practice. Our injury attorneys will seek justice for our clients, while dealing with the necessary legal formalities required of your personal injury case. We fight for our clients until we win your caser by settlement, mediation, arbitration or trial. We really care about our clients and do not want anything less than to win your case! WE STRIVE TO UPHOLD YOUR RIGHTS AND SEEK MAXIMUM COMPENSATION FOR YOUR PERSONAL INJURY OR WRONGFUL DEATH TRUCK ACCIDENT CLAIM IN MANHATTAN BEACH, LOS ANGELES, CA. To understand how we can assist you with a Manhattan Beach wrongful death claim or truck accident personal injury case and how you can protect your rights and act in accordance with California law, including DMV rules and truck insurance policy conditions and other procedural rules, please feel free to reach out to us for a free and confidential case consultation. To consult us, just fill-out the details in our contact us form and fill us in about your Manhattan Beach, CA truck accident or any other personal injury claims anywhere in Los Angeles and all of California. You can even send us an email to info@WalchLaw.com. Our legal service fee is contingent upon successful resolution of your truck or car accident injury case – that means we do NOT charge any fee for accident injury cases unless and until we WIN! And when we win, the fee is paid out of the recovery, not your wallet. In addition, the initial consultation is absolutely FREE so please do NOT wait and please contact us now so we may start to help you now and before any mistakes are made or time deadlines missed.